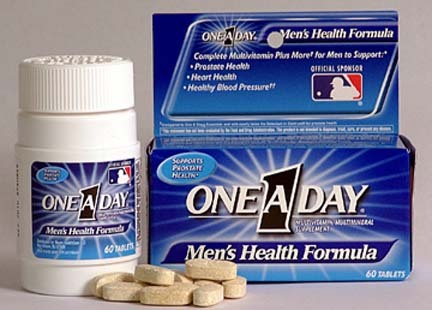 One A Day vitamins were introduced in 1940. It’s hard to believe that One-A-Day vitamins are older than me. Miles Labs introduced them in 1940, making them 73 years old. I’ve been a customer and I know the value of taking daily vitamins. I am not being critical of anybody who releases an episode a day, or multiple episodes a week. While I’ve never done a daily podcast, I have been known to release up to 3 in a single week. I have no idea how people do a daily podcast. The sheer grind of that would depress me to no end. I have no idea how people consume daily podcasts either. I’ve tried to keep up with a few, but in short order I’ve declared podcast-listener-bankruptcy and given up. I don’t subscribe to any daily podcasts. People get hung up on making sure everything they do is perfect or highly valuable. The other day I heard a guy say the path to success is to “be awesome.” Well, there you go. Be awesome! Easier said than done. Truth is, I don’t know anybody who is always awesome. And I don’t believe that everything you create must be awesome! I’d like to challenge you to consider something about content. All kinds of content. Audio. Video. Blog posts. Books. Magazine articles. Anything. How often do you experience content that is profound? Permit me to define profound very simply. Let’s assume that profound is something that you remember a month later. A podcast you remember a month after you heard it. A video you remember a month after you watched it. A book you read and remember a month later. A magazine article you read and remember a month later. My guess is, there aren’t many pieces of content that you remember a month later. Most of the stuff we consume is consumed and forgotten. And when you think about it, that’s how it has to be…otherwise, our heads would explode. Profound really deserves a better definition though. How ’bout we ramp it up and say that something is profound if it changes our life? Do you consume content that changes your life on a regular basis? I do, but it’s only one book. The Bible. Nothing else I consume regularly has a profound impact on my life. Nothing. Does that mean it’s not worth consuming? No. It just means profound (life changing) is a very high standard to meet. As content creators, I don’t mean that we shouldn’t aim for profound. I just mean we shouldn’t avoid creating content unless it’s profound because profound is really difficult to achieve. The more you produce the more likely you can create something profound. I believe that (mostly). That’s not always true, but I believe it’s mostly true. 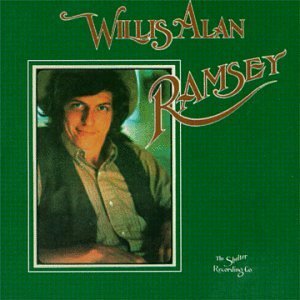 In 1972 a guy named Willis Alan Ramsey released a critically acclaimed record. I wore out two copies of this record when it was vinyl. It was a one and done deal. To my knowledge he didn’t produce anything before that record, or after. Come on, we all know how rare that is! It’s crazy. Ramsey was (is) an exceptional talent. Or, maybe when your first content is so spectacularly well received you just call it a day. Maybe if you hit a home run at your first “at bat” you earn enough money to ride it out. I don’t know if that’s true for Ramsey or not. I love this record and still listen to it regularly. I saw Willis live in concert a lot while I was in college so I’m an avid fan. Bewildered perhaps, but still a fan. Willis Alan Ramsey is not typical. For every hit song most artists likely have written countless others that weren’t even worthy of being recorded. It’s just how the odds work. Profound is extraordinary. Everything else is…well, ordinary. Can you produce profound content without producing the ordinary content? Not likely. For one thing, you won’t likely be able to predict or even recognize profound. How many times have we read or heard interviews with musicians who vowed they thought a song would be a hit, only to realize that another song – one they thought would never make it – turned out to be “the one.” Predicting hits is as difficult as predicting what content will be profound. Bloggers and podcast producers often comment how something they produced that they thought was awful turned out to be among their most popular stuff. You just never know what will resonate or catch fire. For another thing, there’s the proficiency issue. People can argue all they want about perfect practice making perfect, but there’s real truth to practice making perfect. Unless you’re a moron, you’ll figure out how to improve your practice. You’ll ask others who know more than you. You’ll observe what others are doing. You’ll stick with it and work at it. And over time, you’ll improve. Will you be able to produce something profound? Maybe not. There are so many other elements involved. Like talent. Uniqueness. Opportunity. Luck. Here’s what I believe – the more you stick with it and the more you produce the more likely you are to figure out how to produce something profound. Yes, I think quantity matters. Whatever you do, do it a lot. Do it as often as you can. Will it be too much? Maybe. Maybe you’ll find that you’re producing more content than you can sustain. Fine. Step back and figure out a pace that you can sustain. Be consistent. Maybe you’ll find that you’re wearing people out with more content than they can stomach. Fine. Step back and stop blitzing people. Slow it down in hopes you can become more attractive. That might mean you still write, video, shoot photos or record audio as much as you’d like…you just don’t put it all out there for public consumption. But what if the one you don’t release is the one that might be your hit? What if Willis Alan Ramsey hadn’t released his 1972 record? It would be the world’s (and his) loss. That’s what. Besides, how many songs have you listened to that you quickly forgot? See, we all have amnesia when it comes to most content – good or bad. So I say, produce all the content you want. Stick with it. Grow, get better and don’t be afraid of producing too much. Or not enough. Quit worrying about everything you do being profound or remarkable. Even a blind pig can find a truffle every now and then. 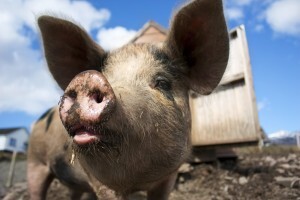 Surely you’re smarter than a blind pig. Me? I’m working on it. Being smarter than a blind pig that is.